There are a number accommodation types available on Sal, Cape Verde. All Inclusive Hotels, Pensao, Residencies and other hotels. Large and smaller resorts are situated in and around Santa Maria and there are many apartments for rent. On Sal Island, most of the large tourist hotels are situated along Hotel Boulevard in Santa Maria, or further on to some of the hotel groups such as the Riu or Sol Melia situated along the west coast of the island. These will generally offer accomodation and meals. Mostly family run accommodation. They may have restaurants that are also open to non-residents. These will vary in size and management. The services offered will also vary. Porto Antigo Residence, also known as Porto Antigo 1, situated in Santa Maria, Sal Island, is a beach front resort, some apartments will have sea view, others no sea view. There are other similar complexes that are called Porto Antigo 2 and Porto Antigo 3. The Management Service at Porto Antigo (1 and 2) rents out properties on behalf of owners, while some owners there, will rent out their apartments privately on rental or holiday let websites. Both resorts have a swimming pool. There are other similar types of accommodation lets situated in and around Santa Maria and on the west and east side of the town. Other smaller Residencies may have a reception area and a restaurant on one of the floors within the building, usually no pool. There are a number of All Inclusive hotels which you can book as part of a package deal or book seperately. You may want to enquire about booking a two island stay, perhaps spending 6 nights on Boavista and the remainder of your two week holiday on Sal Island, or visa versa. You can arrange internal flights with any of the Travel Agencies here or in your home country. You can also stay at some of the smaller hotels and include breakfast with your accommodation, this may be taken in the hotel or at a nearby reataurant with which they have made arrangements. Some of these hotels will have standard rooms, will be clean and cheaper than some of the larger hotels. Some of the hotels will cater for one or two nationalities mainly because Tour Operators from different countries will have negotiated deals with a particular hotel or hotel chain on an island. The Riu Hotel closed during the summer 2016 for refurbishment but re-opened in the November. Llana Sol Melia Hotel opened December 2016 and the breakwater at Bikini Beach on the west coast has been attracted more tourists to the resorts of Tortuga, Llana and Dunas Beach Resorts. The Djadsal Holiday Club Hotel has now being demolished and the land has been bought by new investors. Fashion Beach will have rooms to rent in near future. The Sal Hilton is due to open 2017. The New Horizons development is due to open and accommodate Thomas Cook within its' Sunwing and Sunprime hotels on Sal Island in July 2017. Dunas Sol Melia has 14 hotel rooms and a number of self catering apartments, town houses, villas, a restaurant, pool and beach bars. 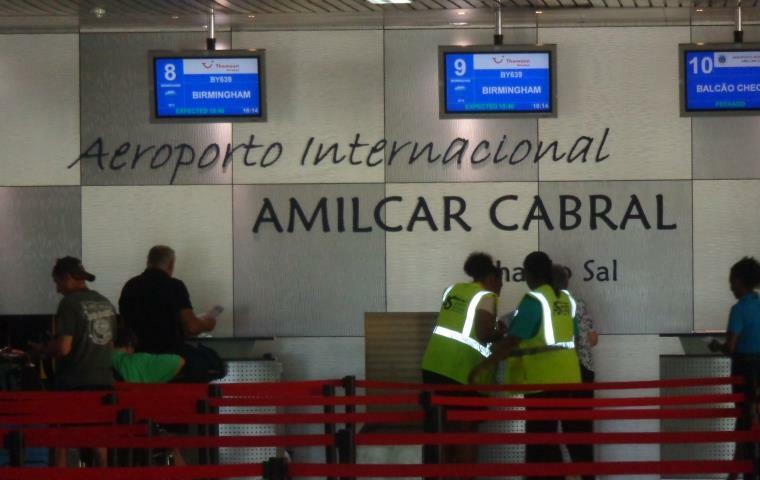 While the Riu hotels on Sal share a total of 1000 rooms. One offers 24hr free bar and buffet which can be used by guests staying at the sister hotel, as they are situated within the same complex. The Riu hotels have a number of different restaurants you can dine in during the evenings. The All Inclusive hotels will also provide everythying else you need, but they aren't for everyone! Some of the more established hotels such as the Morabeza prides itself on being a family run hotel which is situated on the beach in Santa Maria, next to the pier (pontao). The hotel has extended within the grounds and so there is a mix of older build with new, but you will still feel at home here. A mix of nationalities stay there. It doesn't offer All Inclusive but has a good choice of meals which you can enjoy in the evenings in their restaurant or at the Beach Club during the day. From the Morabeza Beach Club you can just choose to relax and read a book or enjoy a drink and watch the jet ski's and scuba divers come and go, windsurfers falling off their boards into the crystal blue waters, people swimming or diving through the waves or off the pontao, fishing boats bringing in the morning or afternoons catch of fish or have a meal. The restaurants and Beach Club are open to non-residents of the hotel. Its staff have remained with the hotel for many years. If you also want to try something different, if you aren't staying in an All Inclusive you can book a night or two in one of them during your stay, or you can book dinner or a meal there so you can arrive at a given time to enjoy an all inclusive meal, drinks and if during the evening watch some entertainment. If you are looking to stay for a longer term to enjoy the winter on Sal or windsurfing or Kitesurfing sometimes hotels, pensions or residencies will do you a better deal than what they generally charge for short stays. Some of the smaller hotels may charge you less per month than if you rented a self catering apartment, it just depends on your needs and budget. There are more places to stay on Sal, they include Paradise Beach, Vila Verde, the Hotel Pontao, Salinas Sea Hotel, Dunas de Sal Hotel and many more. Please note that some are a taxi ride from Santa Maria. If you are in self catering you will need to travel into Santa Maria to do your shopping. If staying in Murdeira Village further up the coast (nearer airport) you may prefer to do your shopping in Espargos.